Rakhi 2011 Festival date is 13th August 2011 this year. It will be celebrated with Rakhi wishes, celebrations. Meaning of RAKHI from its letters. Rakhi is a festival celebrated all over India. It is the festival of relationship. Mainly it is for brothers and sisters. Sisters tie Rakhi in brother’s hand in this day. In return, brother present gifts to beloved sister. 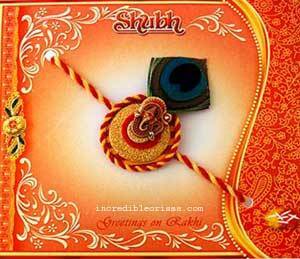 Meaning of this Rakhi is brothers have to protect whole life their sister from all odds, obstacles. In a broader sense, this can be celebrated between husband and wife also.